The Witches Kitchen: How to handle a bumper crop of tomatoes! What to do with all of the wonderful tomatoes that are beginning to come into season? I find that I simply can’t resist them! Every year I plant way too many varieties and every year I’m blessed with the same results…a bumper crop of so many wonderful tomatoes that by the end of the season I’m giving away bushels and I still have almost too many left. I love fresh vine ripened tomatoes and I’m spoiled…. I pretty much refuse to have anything to do with that luscious red fruit (Yes the tomato IS a fruit!) at any other time of the year. The fragrance of a tomato plant is incredible, I hardy know how to describe it. I love running my fingers across the leaves and I've often said that if I could find a perfume that smelled like the freshly crushed stems that I would wear it forever. Any suggestions? The closest I've found is the room diffuser in "Tomato Vine" by Saint Parfum. It was incredible to walk into my bedroom all winter long when it was so icy outside just to smell the warmth of summer vine ripened tomatoes at my bedside...bliss! I eat tomatoes during the hot summer months practically everyday and my favorite summer meal consists of sun warmed slices and fresh burrata cheese drizzled with white truffled olive oil and lemon juice and then dusted with sea salt, cracked pepper and served on a bed of arugula. My favorite comfort food breakfast? Open faced toasted cheese on white toast with tomatoes. I think that this is left over from my childhood, when my mother (who was bit of a Dixie Chick) used to make me my favorite open faced grilled cheese with tomatoes and bacon on toast for breakfast everyday before I went to school! I can remember being a little girl,crawling out of bed and sitting in the kitchen still in my pajamas watching her make it. There was one radiator in particular that was warmer than the others and I loved sitting by it. My mother’s kitchen was so cozy and warm and she’d always bring me a steaming cup of tea and that wonderful sandwich on a pretty Spode plate. It was the very thing that kept me warm inside while I waited outside for the bus on those cold, dark wintry mornings! If you want to try this, it’s really a very simple and satisfying sandwich to make. Just spread a piece of Pepperidge Farm white bread with a bit of mayonnaise that you've mixed with some fine herbes and a little bit of minced fresh garlic. Put several slices of tomato that you salted lightly and top with several slices of American cheese. Put the whole thing under the broiler for a few minutes and you've got the oozy, gooey toasted cheese that you remember. Add bacon or thinly sliced ham or turkey… Delicious! Add some homemade tomato basil soup ( or even Campbells) and it doesn't get much better! Another favorite? White toast spread lightly with salted butter and layered with thinly sliced rare roast beef, thinly sliced red onion, a wee bit of goat cheese and a spoonful of olive tapenade. Perfect for tea or anytime! We've reached 103 in the shade here in Northeast Ohio so toasted cheese definitely wasn’t on the menu today! The sandwich shown above was though and it was wonderful and vegan too! Ezekiel sprouted bread,rice "Cheese", Vegannaise , freshly picked vine ripened tomatoes and those flowers are peppery edible nasturtiums also from my garden, chives and fresh basil too! I dusted the whole thing with a bit of sea salt and ate it with absolute pleasure! Quick, Delicious and so very good for you! Tonight's meals is simple too....juicy diced tomatoes and cucumber and sliced onions with torn pieces of a day old baguette, fresh olive oil, sea salt ,pepper ,garlic and lots more of my fresh genovese basil all tossed together into a bowl with a sparkling of chopped almonds on top. On Wednesday we had freshly steamed zucchini tossed with diced tomatoes, onions and garnished with lemon verbena and fresh basil! Bacon Bloody Mary’s with bacon flavored vodka, garden fresh tomato juice, a bit of pickle juice , olives, horseradish, some special seasoning and a perfectly grilled strip of bacon ? Well - when isn’t it time for a Bloody Mary? Put a raw oyster in the bottom of a shot glass and add a bit of this intoxicating mix....shooters anyone? My favorite presents this year will definitely be my new freezer and foodsaver vacuum storage units, a fairly selfish ( in the best way) gift from my delightful and always hungry husband. I went a little bit wild with my garden and I'm going to need them. Nothing is better then eating freshly steamed sweet corn that's frozen at the peak of freshness on a cold winters day or serving succotash on Thanksgiving that you made in August with that same sweet corn and crop of tomatoes! My favorite variety of tomato is the Black Krim which is a delightfully dusky smelling heirloom with thick juicy lobes. I also love the zebra striped ones and the huge oxheart varieties. 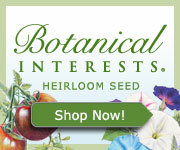 If you're interested in learning about heirloom varieties go to www.seedsavers.org , a wonderful organization devoted to saving seeds and plants and educating us about all of the lovely vegetables and fruits that we CAN eat, not just the one or two common varieties that we find in our markets everyday. So tell me...what's your favorite way to enjoy a fresh tomato? Mine's directly out of the garden eaten warm with only a bit of salt!